It’s a Wednesday afternoon, and I feel like gambling. Do I go down and purchase a lottery ticket? Nope. Instead I set up a table at the Kuna Library during summer reading events. There is tons of promised traffic. And traffic there is. But People come to the library to borrow books, not to buy them. At least, that has been my experience. The traffic consisted of harried parents, lulls of almost no patrons, and several curious kids (who my books are not appropriate for). For most authors who have done or attempted signings at libraries, this is not news. Far from it. It is simply fact. But there are things to be learned from these and other experiences. The idea was never to sell a ton of books. But to do two things: make my local librarians who may recommend my books happy, and increase local exposure. 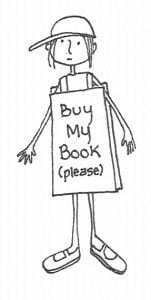 This forces any author to brand themselves, something with its own value. So below is a little advice when you are next invited to do any in person signing. 1. Manage expectations. 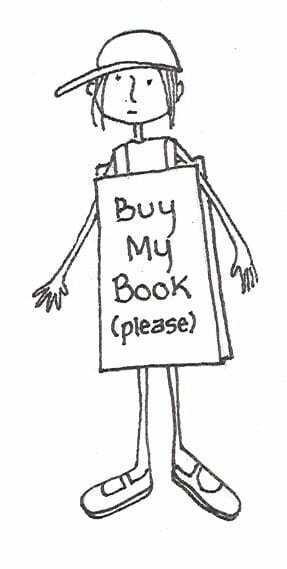 Be realistic about how many books, if any, you expect to sell. And keep that in mind. Sometimes just reinforcing your public image is enough return on your investment. Especially with patrons of libraries who are obviously already readers. 2. Use your time wisely. Don’t just sit and stare at the walls, or the celling. Watch people and their reading habits. If you are at a bookstore, observe buying habits as well. See what they pick up, and what they pass by. Be ready to answer questions, even if the person does not look like they read your type books. You never can tell. Don’t judge a book by its cover. Or a person. 3. Make fans and friends. Even if it is one at a time. Even if they pick up your book cards, and buy them later on Amazon or elsewhere. There is no value you can attach to a lifelong fan. You never know who that might be. 4. Assign value to your time, and be careful with it. Orchestrated book signings and readings can enhance both your image and your opportunities. But Be careful they are not the only, or the primary marketing efforts you make. They are time consuming and minimally profitable. You could be writing the next book rather than sitting behind a table waiting for readers to come to you. In person book signings are like many other things: they are best in moderation, for a purpose, and handled with care. Use these potential tools the way they are intended. As a gateway to the fans you don’t have yet.